Game 33 is Twilight Zone!!! Video Link Below! ColorDMD Displays is excited to announce support for Twilight Zone pinball machines! This is the 33rd multicolor release for the ColorDMD display platform, and second new title release in 2016! 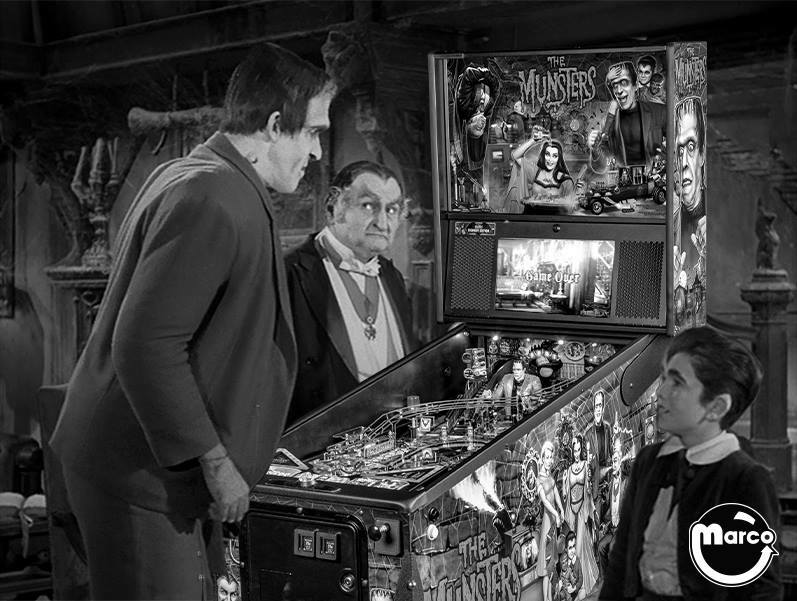 Twilight Zone is beloved by pinball enthusiasts everywhere, and perrenial request for colorization. Twilight Zone was colored by Chris Enright and Josh Jertberg, the same team responsible for ColorDMD's efforts on Indiana Jones and Metallica, games recognized for their extensive artwork and attention to detail. Josh is a computer animator and graphic artist who makes great use of color and shading to bring out the best in the game's sequences. Josh doesn't disappoint on TZ, adding color while paying homage to the game's and characters' roots as a black and white TV series. Chris, a founder of ColorDMD and long-time TZ owner, has authored twelve of ColorDMD's previous releases and has provided coaching and support to developers for nearly every title in our library. While every game presents challenges, none more than Twilight Zone with it's extensive animation sequences and unusually large number of animated screen transitions (scrolls, wipes, crossfades, etc.) that make it a formidable game to color. Colorizing TZ required all of Chris' ingenuity, countless hours, and every trick in the ColorDMD playbook (including a few new ones). We hope you enjoy the astounding result of his effort! The ColorDMD for Twilight Zone pinball machines leverages the company's easy-to-install ColorDMD SIGMA platform and supports six different rendering styles. Multicolor operation is enabled through free download and installation of a game-specific ROM using a USB drive. The display may be reconfigured for use with any supported title. Displays from our January build are completing now and shipping as they are received from production, The color ROM for Twilight Zone is targeted for release on Friday, February 12. Re: ColorDMD Announces Twilight Zone! Im surprised this was not done sooner.